Vintage sexism in all it's horrible glory p2. A SECRETARY? Seriously?. 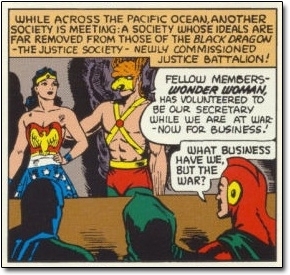 Wallpaper and background images in the Feminism club tagged: vintage sexism dc comics. Yeah, there's no defending that one. Secretary is still a JOB.